"Safety Trumps Everything" is our Motto! At Global Volunteers' 2010 Annual Staff Training in St. Paul, Minnesota, country managers and volunteer team leaders were certified by the American Red Cross to administer CPR in emergencies. Because "safety trumps everything" is our motto in providing service opportunities worldwide, this training is required of all team leaders annually. You can feel certain you're well cared for on Global Volunteers teams! Today's all staff meeting -- within our two-week training sessions in St. Paul, Minnesota -- was highlighted by naming three outstanding staff members for special recognition. 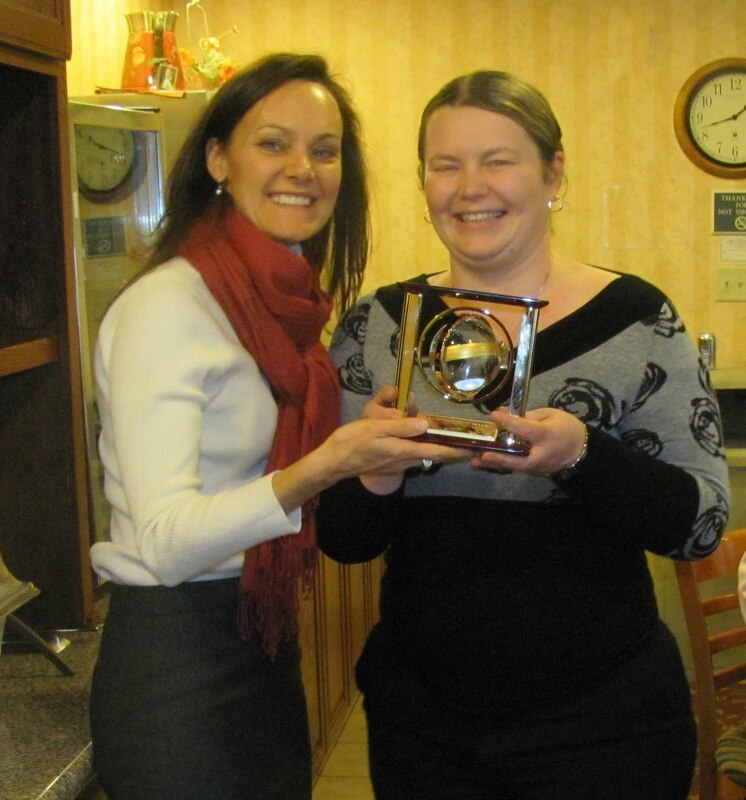 Regional Manager Dorota Wierzbicka(right in photo) was presented with Global Volunteers' first Staff Person of the Decade Award in appreciation for her long-term, consistent leadership in Global Volunteers' field operations. Volunteering on our Poland program when it first started in 1990, Dorota initially served as our team interpreter in Siedlce and was promoted to Poland Country Manager within two years. She was named Global Volunteers Staff Person of the Year in 2001 and 2004, and consistently receives the highest possible ratings on volunteer evaluations. In 2008, she became Regional Manager for European, South American and South Pacific programs, and has led teams in South Africa, Hungary and Tanzania in addition to Poland. In noting Dorota's contribution to our staff team, Global Volunteers Vice President for Operations Michelle Heerey said: "Dorota reminds me of that steady, quiet presence that you can always rely on, and makes certain all the bases are covered behind the scenes. At the same time, however, she can be a strong taskmaster and inspire people to do what they need to do!" We're grateful to Dorota for her two decades of loyal service to Global Volunteers worldwide! Volunteer Manager Julie Costa (on right) received Global Volunteers' 2010 Staff Person of the Year Award for leadership in preparing new volunteer coordinators, support to the marketing and volunteer coordination team, consistently superior service to prospective and Encore volunteers, and loyalty to our mission of excellence in service. 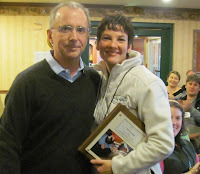 Julie joined the staff in 1994, and has twice received Staff Person of the Month awards. She's served on 18 Global Volunteers service programs!Global Volunteers' Vice President for Volunteer Coordination and Marketing Pat Forciea said: "Julie has been a great support to me and an inspiration to my staff. I always look to her for quality advice." Kudos, Julie, for 16 years of immeasurable contributions to Global Volunteers' staff. 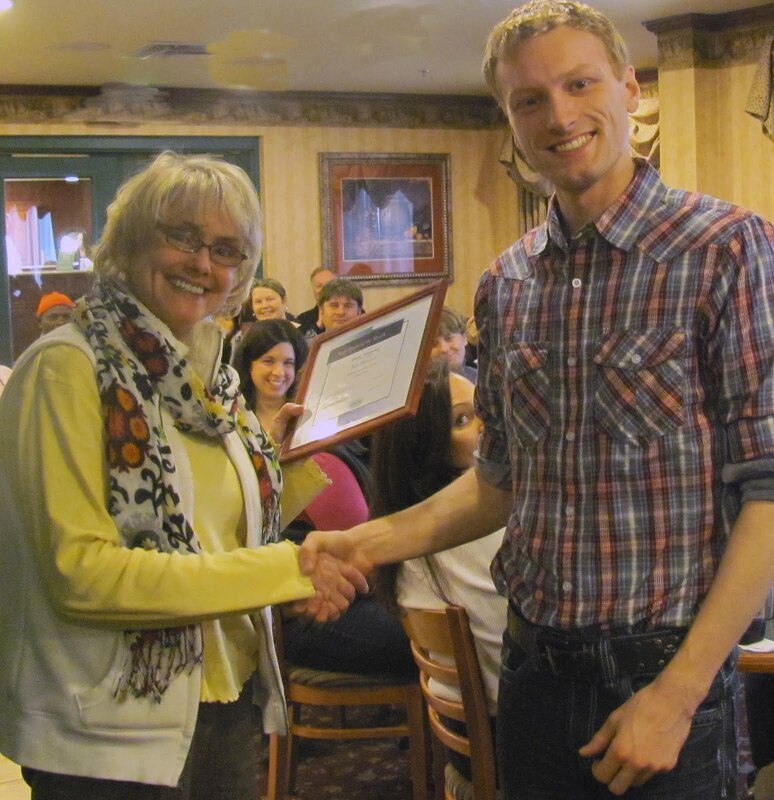 November's Staff Person of the Month is Jake Philbrook, Global Volunteers' Technology Manager. 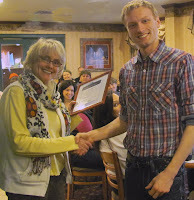 In presenting this award to Jake, Global Volunteers' Vice President for Finance and Administration Bonnie Christensen said: "In the years I've worked with Jake, I've appreciated his work, but it was only when he began working directly for me that I came to understand what a true professional he is in his field." Jake was specifically noted for his diligence in the recent upgrade in our database. He previously was named Staff Person of the Month in April, 2006. Thanks for your cool head, Jake! We're very proud of our bright and dedicated staff, and recognize that as our volunteers are Global Volunteers' "heart and hands," our staff are the feet that keep us firmly planted in possibilities. "Welcome to snowy Minnesota!" Global Volunteers CEO Bud Philbrook welcomed back 11 of our country managers to St. Paul, Minnesota, where they joined USA staff at our annual staff training, beginning today. After a morning review of our 27-year history of service worldwide, the conversation evolved into a lively discussion about responding to our host partners' service requests during uncertain economic times. Global Volunteers has survived and thrived since its founding in 1984, despite varying impacts at the corporate and local levels, Philbrook said. "We have always prioritized the needs of our host communities," he stressed. "Yet, our ability to provide assistance to the children we serve is directly related to the number of volunteers we mobilize." With volunteer numbers down during the past two recession years, our resources have likewise diminished, he said. As the economy improves, our challenge is to regain our share of the available volunteer resource to support our partners' vision. Country Managers expressed their concern about the impact of decreased volunteer numbers in their communities. They share a global wish for a rapid economic recovery to restore our service partnerships to full capacity. We welcome you on our service programs this winter and encourage you to contact us about our needs worldwide. We Need You Now! 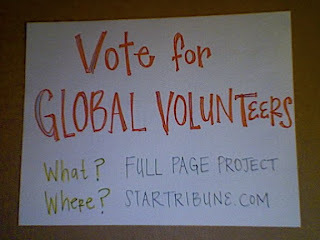 Continue to Vote for Global Volunteers!!! We've hit the final stretch and we must keep voting in the Star Tribune Full Page Project! Please do everything you can today to keep voting each hour and engaging those around you. Thank you, again, for your dedication!! Only a few hours to go.... JUST KEEP VOTING FOR GLOBAL VOLUNTEERS! 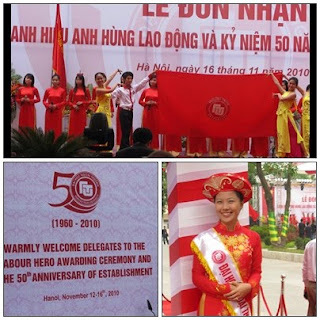 Global Volunteers' team in Hanoi celebrated the 50th Anniversary of the Foreign Trade University. FTU is a public university; considered to be one of the top institutions of higher learning in Vietnam. Volunteers teach conversational English skills to students in English language classes. Please Come and Work With Us in Tanzania! To all my beloved volunteers who have come on the Tanzania program, I take this opportunity to thank you and wish you my best and would also like to invite you again to help us by serving on another program. And we also ask you to encourage your friends and family to also come to our community as a volunteer. In the past 6 months, 30 Global Volunteers came to Pomerini and Ipalamwa. Whole heartedly, they contributed their time and talents in the two communities through serving, teaching, and learning with us. There were plenty of opportunities for the volunteers to help us in various projects teaching students, construction, attending patients, equipping the community with primary health supplies, painting, and coaching in sports. As always, the people of Pomerini and Ipalamwa extended a warm welcome to the Global Volunteers. The local people took time off from their busy lives and freely mingled with the volunteers to know more about the volunteers and also to share information about their lives and the needs and goals of the community. Computer education was a welcome subject for our students which is presently taught in Pomerini only. Both students and teachers now have a better understanding of Power Point, Microsoft Word, Microsoft Excel, etc. The local people learned how to construct an environmentally friendly stove through Global Volunteers. Sixty local people attended the stove construction demonstration which went hand in hand with the teaching of primary health and hygiene to sixteen primary health service providers from eight villages in Pomerini. Volunteer donations also provided medications and supplies to Pomerini and Ipalamwa Clinics. 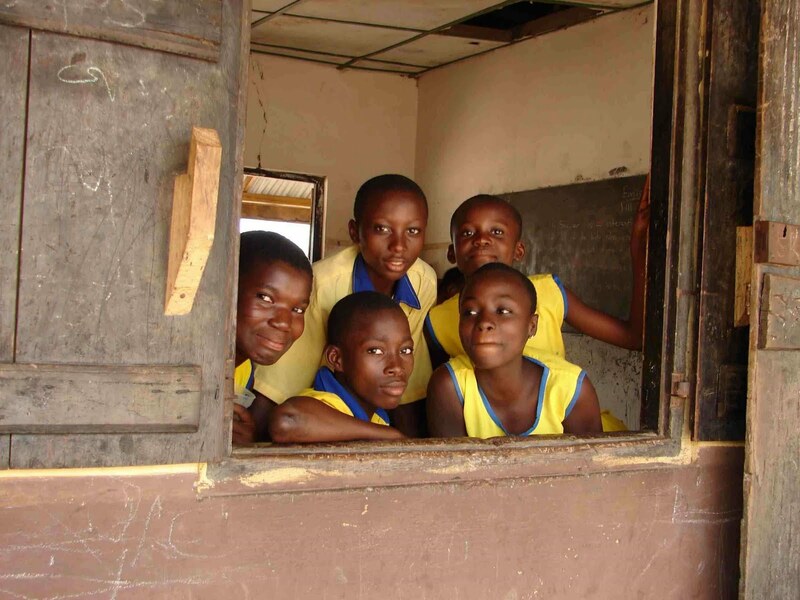 The schools received supplies like wall maps, erasers, chalk, globes, books, pens and pencils. This has greatly helped our schools in meeting the shortage of supplies. Thank you for your contribution of your precious time with us, and also your skills, materials, and the good spirit you bring to our community. I want to remind you that our fight to improve our community is still on and with your help we will definitely win. So I kindly req uest you to come back again. 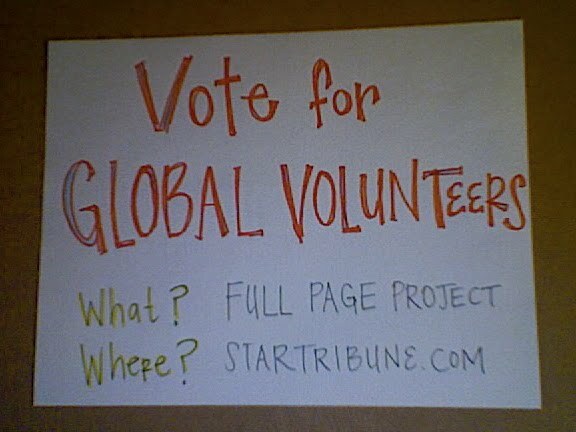 Vote for Global Volunteers in the Star Tribune Full Page Project! From November 15 - November 21 the Star Tribune newspaper is holding a contest entitled 'Full Page Project' amongst MN non-profits and the winner will receive a free full page ad in the Sunday paper! Please vote for us this week ~ you can vote once per hour! We would also encourage you to pass this link along to your family and friends, and post it on your personal Facebbok page or blog. Let us know if you have any questions, and remember voting has begun! Thank you to all the volunteers who have participated in our Global Volunteers Vietnam Program. From September 2009 through September 2010, a total of 47 volunteers served on five teams. For each one, this was a most memorable service experience. Hanoi is a vibrant city, full of history and contrasts, where the ancient and the modern co-exist side by side. The September team had the great privilege of partaking in the city’s 1000th anniversary celebrations! For ten days, the city “exploded” with a multitude of historic and cultural events, parades, performances , laser shows and fireworks while dedicating new bridges, theaters, and museums… For the volunteers who joined the proud Vietnamese people in celebrating this momentous event, it was a unique experience! Nguyen Binh Kheim High School (NBK) in a residential district where Mr. Hoa, the Principal of the School, and Mr. Hoa, the Head of the English Department, continue to look forward to welcoming our volunteers. Many of the English teachers – at first somewhat shy about working with our volunteers - have now become enthusiastic partners as they realize that they are learning a lot from the volunteers. The children enjoy showing their appreciation to their “teachers” and everyone is always sad on the last day of the service program! The evening “cross-cultural exchange” when older students come to the hotel to take the volunteers on a walk around the historic neighborhood continues to be a success. Foreign Trade University (FTU) has the reputation of being the best University in Hanoi, and is growing very fast. As more volunteers have been lecturing there, the English teachers have learned how to better integrate them into their programs. The students are respectful and appreciative of the opportunity to improve their conversation skills and have been engaging the volunteer teachers in meaningful exchanges. The volunteers on the last team there were invited by some of the students to tour some of the cultural sites around the city. During the past year on the Vietnam Program, Global Volunteer’s contribution towards the United Nations Millennium Development Goals are as follows: On Target 3 – To ensure education for both boys and girls to complete a full course of primary education, we contributed 1148 hours of conversational English and taught other subjects to over 2200 students. Francoise Yohalem – a Volunteer Team Leader who had lead twice to Hanoi – looks forward to her next assignment there. She advises: “Hanoi is moving fast… unfortunately trying to catch up with Saigon. Go there before it changes too much! You will enjoy the charm, the quaintness, the historical and cultural sites, but, most of all, you will be touched by the kindness, sincerity, and generosity of the Vietnamese people. Our hosts, community partners, teachers, children, and other Vietnamese whom you have taught or helped while there want to thank you for the help they have received and hope you will visit again. For those of you who cannot do another service program soon, please do continue your service as a sponsor through the Global Volunteers Child Sponsorship program or by telling others about your Vietnam experience as an Encore Team member. We welcome your support in any way. We need your help in our ongoing work in Vietnam.